It does not need any introduction to say that a business landscape is full of dynamism. As a result, meeting-up its dynamic nature every time, irrevocably brings an air of close-knit intricacy in the business world. 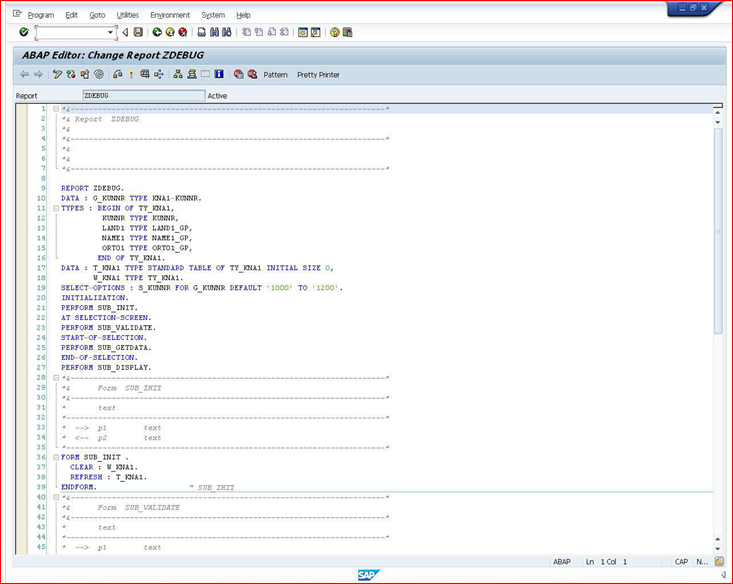 Simplifying the whole process by some discernible notches comes, SAP’s ground-breaking ABAP solution. However, this tool again has its own sets of shortcomings. Many times the system is caught up by run time coding errors which becomes critical for the application’s success. SAP debugging is a powerful tool that can potentially resolve almost all of these problems. So before we dive in to understand what exactly debugging in SAP ABAP is, let’s figure out what debugging in context of any programming means. 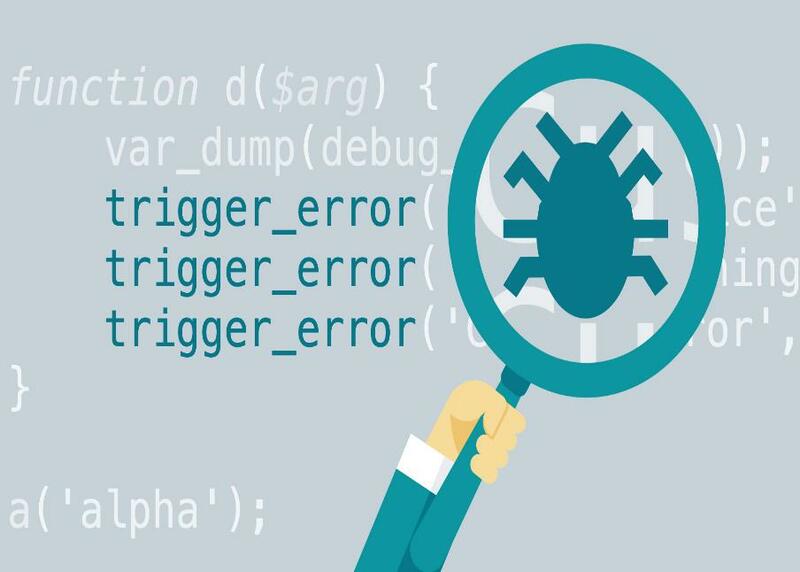 Debugging is often referred to as the process of analyzing the flow of a program, thereby detecting defects/bugs. In addition to detection, an ideal debugging process is followed by the omission or reduction of program flaws. Unlike other programming languages, debugging process in SAP witnesses a process of analyzing different objects. A powerful tool, the ABAP debugger is utilized to achieve so. Imbibed with capabilities of analyzing the program or object by line or section, it can even go on to alter objects during runtime. There are two types of SAP ABAP debuggers: classical debuggers and new ABAP debuggers in SAP. If you are an ABAP consultant, then dealing with transaction codes would not be a new phenomenon for you. However, while executing the program, in case you are shot by trouble, debugging process can help you fix the coding error with precision. Every piece of transaction code is backed by an ABAP source code which is either delivered by SAP or customized for achieving a specific goal. Debugging the program enables you to preserve the control in your hands while checking the program line by line. As a result, this process allows you to find out a specific bug or clear out a specific logic. The usage of the /h command in the initial transaction screen is followed by executing the transaction. However, if any breakpoints occurs in between the start and end points, the control directly flows in that point. Else, the debugging process is ended by further execution of the program. This is the process of line-by-line debugging. A. After the successful creation of the program, place the cursor on the desired line and set session breakpoints. B. Following this execute the program twice. C. Now, you take up a sample value and check it in the output table. Note: there are 4 different options in the debugger tool to execute a particular program in SAP. F5, executes the program step-by-step. F6, executes a subroutine module without entering into it. F7, sniffs out a subroutine. F8, executes the program if there is more than one breakpoint then it can move from one breakpoint to another. This method can be executed by entering in the source code editor and adding the break point at the desired line. Here, the cursor has to be put up on the particular line, the one where the control needs to stop. Right after, clicking the break point button will readily create the breakpoint in the program. Now, let’s try to understand where and how the break-point method works most efficiently. 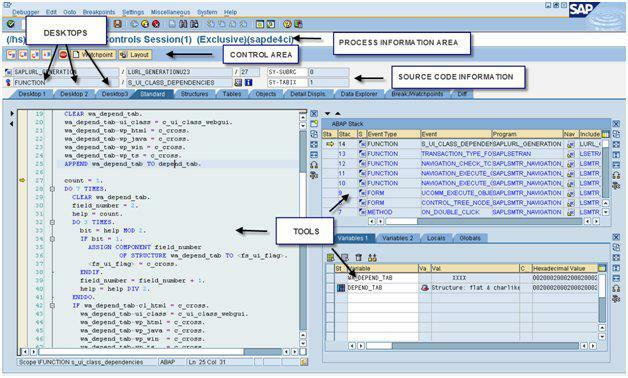 SAP delivers two kinds of debugging procedures for its users in the break point methodology. A. Static breakpoints: Here, statement break-point in ABAP code enables the whole process. Unlike others, these are not user specific and can be inducted by any user. It needs to be deleted manually. B. Dynamic breakpoints: These are user-specific and can only be inducted by users. Set-up in an ABAP editor, these can be deleted automatically after log-off. However, what needs to be kept in mind is that dynamic breakpoint scan be set up only in active source only. They are of two types of dynamic breakpoints. External breakpoints can be activated for both SAP and Non-SAP applications. On the contrary, session breakpoints can be activated for call within SAP systems only. Debugging a particular row in a table skipping line-by-line method makes the whole process faster. A. Starting with selecting the desired row, place the cursor on the variable and click on create watch point button. B. Set condition to free condition entry. C. Watch point would be created. D. We would witness the value of the selected variable. Apprisia caters to close assistance to all its clientele for SAP debugging solutions. Our expert team not only endeavors to make the debug-launching process simple but also keeps its promise of being solution oriented.